Intelligent solutions for glazing, building enclosures and interior glass. Momentum Glass is an innovator. Skilled in designing, manufacturing and installing glazing systems, building enclosures and interior glass. Momentum also offers industry-recognized expertise in an exciting range of products including ~ point-supported glass walls, composite and insulated wall panels, perforated screen walls, sunshades and louvers, and terra cotta facade systems. For two decades, Omar Maalouf mastered his craft – working, studying and continually improving his extensive skills in the glazing industry before founding Momentum Exterior Systems. What began in 2011, with a vision and passion to provide superior glass and glazing solutions across Texas, has consistently grown in size and reputation. Today, Momentum proudly plays a role in creating some of the region's most notable buildings and counts many of the top-tier builders as loyal customers. And he’s not done yet. With the addition of a growth equity investment in 2017, Momentum now has greater resources to steadily advance our brand of quality across Texas. And we can think of no better investment than doing everything we can to serve our customers even better. Earning a new project is not the same as delivering on it. The leaders who built this company, and actively manage it today, are dedicated to delivering on every promise we make. In everything we do, our focus never changes. Clients expect and demand exacting quality and safe, timely execution. So, from the initial meetings with new architects and general contractors, through every team meeting at a job site, to the grand opening ribbon-cutting, we envision the complete satisfaction of our clients and customers and see that it gets done the right way. In 2017, Momentum partnered with Tulcan, a private equity firm that invests in leading growth-oriented companies. 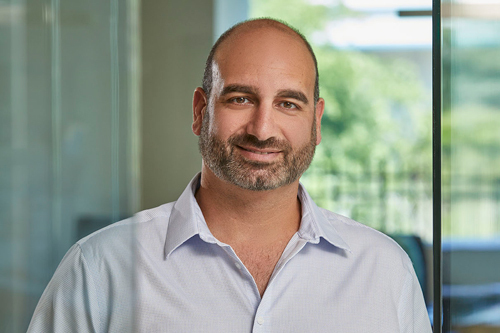 Omar Maalouf, Momentum's founder and principal owner, retains substantial ownership and operational leadership of the company he built, while Tulcan’s investment allows Momentum to further innovate, add capabilities and continually improve the operational infrastructure and manufacturing technology needed to stay ahead of market demands. Omar founded Momentum Glass in 2011 with a vision to provide superior glass and glazing solutions across Texas. 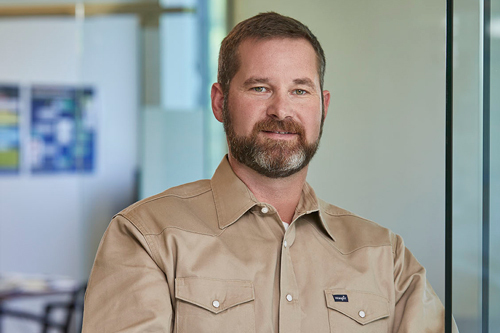 He began his career at Brown & Root over twenty years ago before transitioning to a glazing contractor where he soon became the head of projects and operations. At Momentum, where growth has been consistent year after year, Omar’s reputation for honesty and reliable execution has helped foster lasting partnerships with leading builders and suppliers. Omar graduated from Sam Houston State University with a B.A. in Business Administration. Cody oversees product quality from shop fabrication through field installation and implements the Quality Assurance/Quality Control Program at Momentum. He brings deep expertise from over twenty years of glass and glazing industry experience. Before helping Omar found Momentum in 2011, Cody managed and executed glazing operations at three glass and glazing companies. 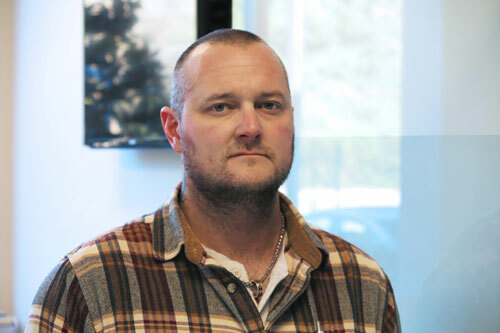 Connor oversees fabrication design, logistics coordination, and production at Momentum Glass. He originally joined Momentum as a summer intern before becoming a trusted Project Manager. Connor graduated from Texas A&M University with a degree in AgLeadership focusing on Construction Science and Business. 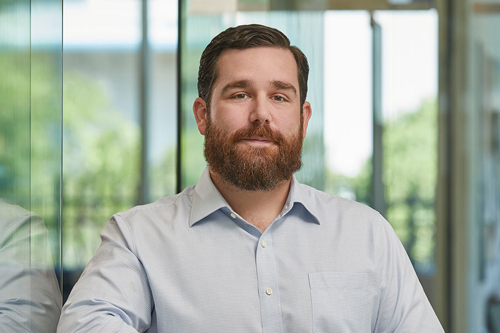 John manages business operations, financial planning and analysis, corporate development, and supports performance improvement efforts across the company. Prior to joining Momentum, John was a Principal in the Houston office of The Boston Consulting Group. John graduated with honors from The University of Texas at Austin with a BA in Economics and later earned an MBA from the McCombs School of Business. 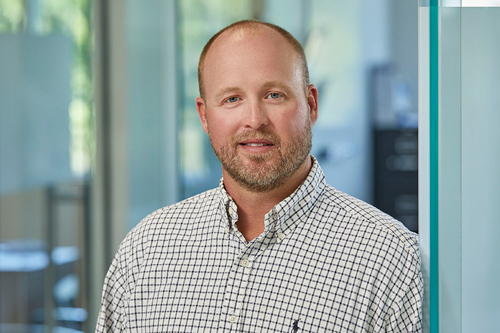 Brian oversees all field operations for Momentum and has nearly fifteen years of industry experience managing projects and supervising field operations. Before helping Omar found Momentum in 2011, Brian earned invaluable experience as a project manager with a glass and glazing company. Torrey joined the Momentum team over 5 years ago, and alongside Omar and Brian has been responsible for growing Momentum’s footprint in Houston and across Texas. Before joining Momentum Glass, Torrey proudly served in law enforcement and also owned his own business for nearly ten years. Torrey is a University of West Florida graduate where he received a B.A. in Criminal Justice. 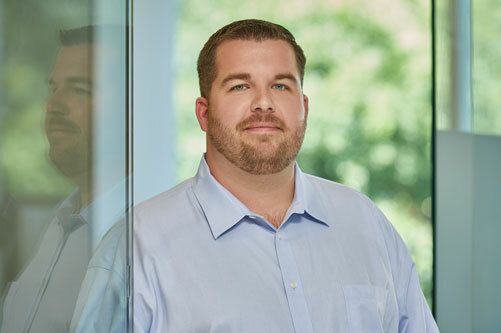 Kyle grew up working in the construction industry and brings over 10 years of experience in every aspect of the glazing business – from sales and estimating to project management, contract administration, purchasing and shop fabrication. Prior to joining Momentum Glass, Kyle worked for a national glazing contractor and managed large glazing projects throughout the country. Kyle graduated from the University of Central Florida with a B.S. in Business Administration majoring in Finance. Jared heads up sales, marketing and estimating for Momentum in the Dallas / Ft. Worth region. 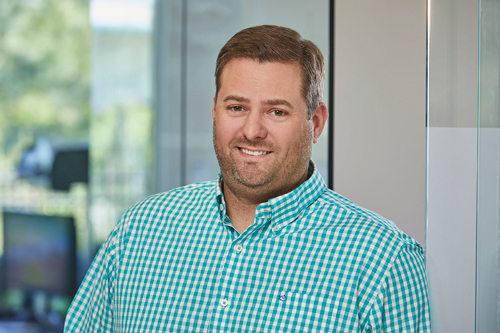 Before joining Momentum Glass, Jared gained over 12 years of experience in the contract glazing industry, where he served as Architectural Advisor Southwest Territory for Schuco USA. There he worked with architects, general contractors, and glazing contractors across Texas detailing and specifying Schuco systems. 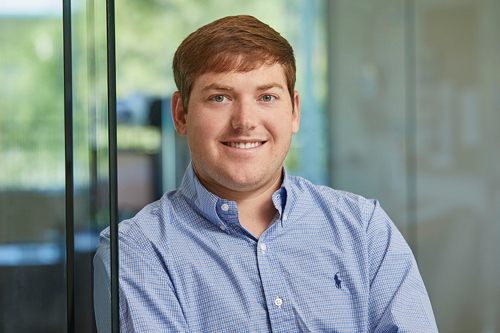 Jared also worked as a Project Manager / Estimator for Trainor Glass after graduating from the University of Texas at Dallas. A big part of doing our job right means doing it safely, so everyone is able to return home to their family. Because we value our employees safety, the quality of our work increases, which in return helps us complete our work on time and on budget. As a priority to eliminate or minimize risks, we proactively identify potential problem areas. Our Job Safety Analysis includes outfitting our crews with the highest quality PPE, and the latest technology from tools to job site safety. We provide OSHA 10 and OSHA 30 training opportunities for all employees, in addition to fall-prevention, rigging, and other specialized training skills. Caring about safety influences every part of every project, and is paramount to our success, so our commitment is ongoing. Safety is a continuous improvement program, allowing us to do our work without sacrificing safety or quality, which makes Momentum an even more attractive place to build a career – and that’s good business. We’ve been extremely fortunate to partner with many of the top architects and general contractors in Texas. And while we could easily drop names with the best of ‘em, we’re also extremely proud of the fact that so many of our clients come back to us time and time again, project after project. We value these relationships and never take for granted the opportunity to partner on buildings that will endure for generations.